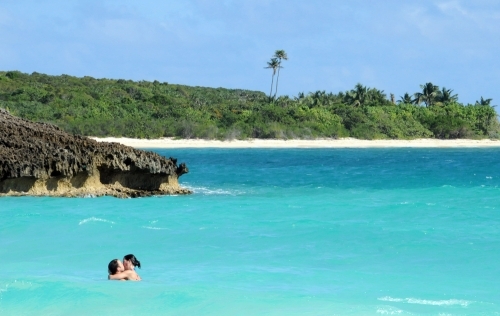 Vieques, sweet, Vieques — the last natural gem in the Caribbean. Part of the Puerto Rican Commonwealth, this peaceful little island remained untouched by mega-resorts commonly found in neighboring destinations thanks to not so peaceful forces: bombs. That’s right, during World War II, the U.S. Federal Government took over approximately 26,000 acres out of a total of 33,000 acres of the island, and up until 2003, the U.S. Navy used Vieques for target practice, thus restricting access to most of the island, unintentionally preserving its pristine, white sand beaches for almost 60 years. Since the last bombs fell, the Navy has been cleaning up contaminated areas while reopening picture-perfect stretches of, how can we best describe it, pure tropical paradise. The island’s 10,000 residents are happy, but travelers that want to see Vieques before it gets outrageously expensive better act fast. The first luxury resort opened in 2010, and more are sure to come as investors awaken to Vieques’ unique natural beauty. To name one example, the island’s most popular attraction is its Bioluminescent Bay. This body of water is home to special micro-organisms that glow fluorescent green in the night, making for a magical, non-drug-induced psychedelic experience. This past winter I spent five weeks in Vieques and still can’t understand why I left. The days rolled out slowly under the Caribbean sun as I explored the island and took pictures of people, nature and, of course, the beaches. I hope the following photo essay encourages you to visit Vieques and maybe even help preserve the land so it doesn’t become another super-sized, all-inclusive exploitation parade full of plastic necklaces and sadness. Remember, it’s one of the last natural gems in the Caribbean. 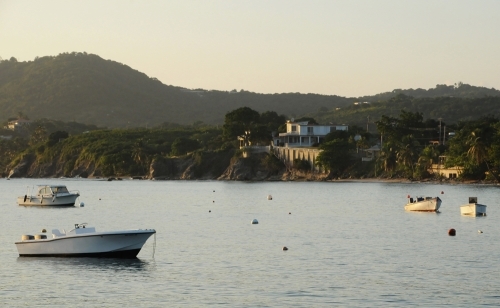 A good starting point for newcomers is Esperanza, one of the two main towns in Vieques. Its shoreline promenade is lined with a variety of restaurants and makes for the perfect place to take a stroll or grab a drink during sunset. Make sure to visit the pier. No point in wasting time, head to the beaches as fast as you can. 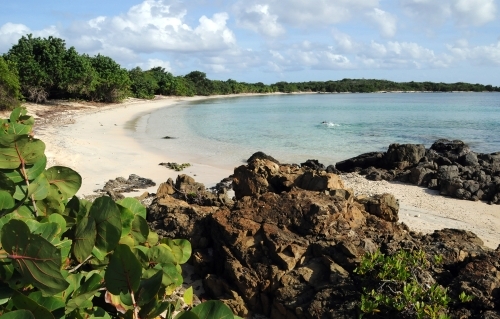 I dropped my bag and ran around naked the first time I set foot on a Vieques beach. I had to, there was no one else there. Above, a lone snorkeler follows a school of fish at Playa Prata, one of the newly opened beaches. Just around the bend, Bahia De La Chiva offers brilliant, Listerine-clean waters for your bathing pleasure. Every beach in Vieques is worth a visit, but I found myself returning here often for the privacy and shade that is so gracefully provided by the palm trees. 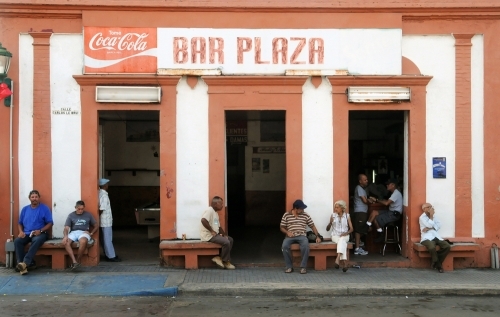 If you’re looking to meet locals, head to Bar Plaza in the center of Isabel II, the island’s main town. Al’s Mar Azul by the ferry dock is also a good bar, but the characters seem to gather at Bar Plaza. Customers here are usually drunk by 2 p.m., and will be happy to duel over a pool table. As you become familiar with the culture, you’ll notice the contrast between older, salsa-dancing Puerto Ricans, and the reggaeton blasting youth. 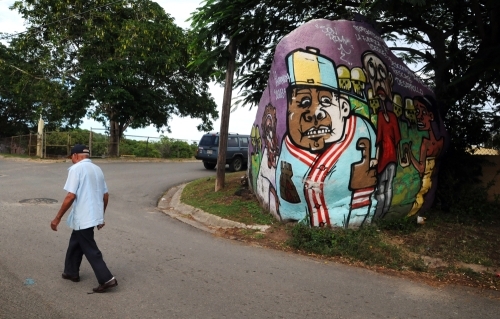 Above, a boulder mural in Esperanza depicts locals protesting the U.S. Navy bombings. Did I mention the wild horses? 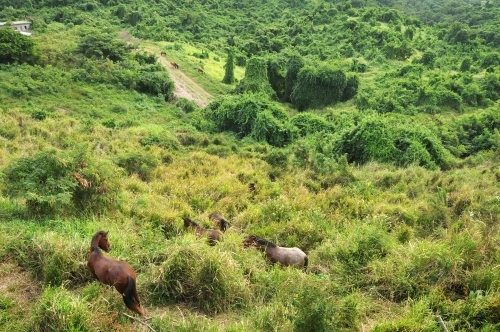 Vieques is swarming with horses that were set free after the sugar industry collapsed. One local told me he used to find a different horse every morning and ride it to school. Above, two families graze on Monte Carmelo. It’s hard to get to Playa Navio, but if you make it, the beach will melt your heart. Because of its location and bad roads, this stunning beach is less frequented by families and is a haven for younger, more liberal travelers. 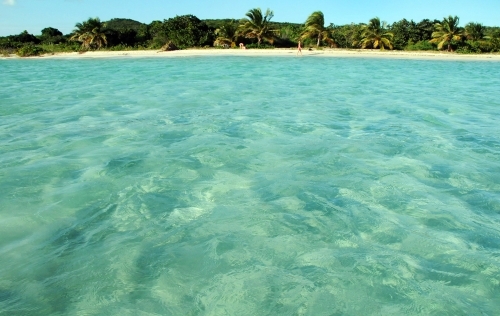 For this reason — and the waves — this quickly became my favorite beach in Vieques. Aside from beaches, there are many points of interest for the adventurous. 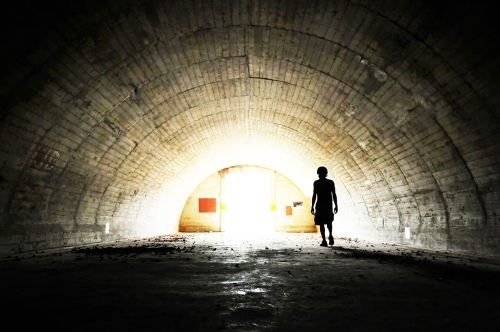 To reach them, you’ll need to rent some wheels — I recommend a scooter — but it’ll be worth the money when you’re walking through the jungle ruins of the Playa Grande Sugar Mill or standing in abandoned U.S. Navy bunkers like the one above. 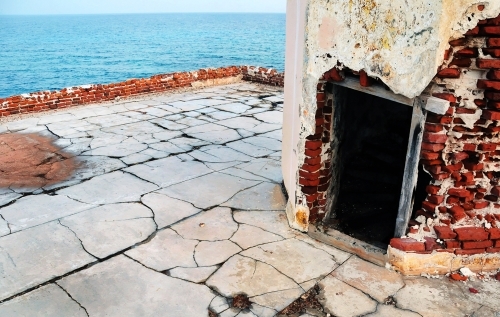 Way, way off the beaten path on the south shore, explorers can find the beautiful Puerto Ferro Lighthouse crumbling on the edge of a large cliff. This rose-colored structure is more than 100 years old and was left to rot many decades ago. Note: I wouldn’t recommend walking on the roof. I’m not religious, but I feel blessed when I look back at my time in Vieques. I can still feel the fine white sand below my feet. I can still hear the coqui frogs singing in the night. And I can still smell the fresh Caribbean breeze that brought explorers through these waters centuries ago. I just hope — let us all hope — this wonderful place does not spoil under the demands of rising tourism and selfish developers. Diego Cupolo is a freelance journalist, photographer and professional dishwasher. Most recently he served as Associate Editor for BushwickBK.com, a Brooklyn news and culture web site, and his work has appeared in The New Yorker, The Atlantic, The Star-Ledger, The Australian Times, Discover Magazine and many other publications. View more of his work at diegocupolo.com.